New York City, New York—The Near East Foundation’s Centennial Gala Celebration will take place on Wednesday, October 28th in New York City. It will be held at the beautifully restored Cipriani 25 Broadway location, which was originally the Cunard Steamship Line headquarters. The event will mark 100 years of NEF’s pioneering work in the Middle East and Africa. In commemorating the legacy of the foundation, NEF will pay tribute to all who contributed to its founding and continued success throughout the years. 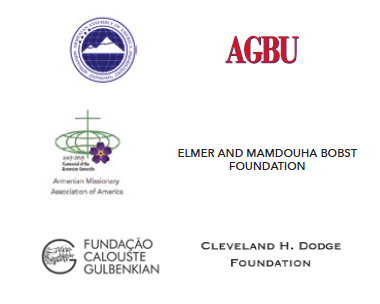 Descendants of Armenian genocide survivors, early relief workers, and the founders of the Near East Foundation will come together to recognize their common historical connection to the organization. Also among the attendees will be NEF’s Board of Directors and staff, long time partners and supporters, and various dignitaries from the areas that NEF serves. In addition to the presentation of two awards, the program will premiere the trailer for the soon to be released documentary, They Shall Not Perish: The Story of Near East Relief. Remarks will be heard from NEF Board Chair, Shant Mardirossian, NEF Board Member, Linda Jacobs, and NEF President, Charles Benjamin. Guest speaker, Gillian Sorensen, Senior Advisor to the United Nations Foundation, will share her views on the importance of NGO’s in global humanitarianism today followed by an exclusive announcement which will detail NEF’s new partnership with the organization 100 Lives. The evening will bring attention to NEF’s Centennial Initiative—to help Syrian and Iraqi refugees and vulnerable members of their host communities in Jordan and Lebanon build their economic resilience through small business development, financial literacy, conflict management, and social networking. This includes building life skills and financial literacy among vulnerable youth—with a focus on women and adolescent girls. NEF’s aim over the next two years is to help at least 5,000 Syrian, Lebanese, and Jordanian families restore their livelihoods and achieve some degree of economic stability to meet their own needs with dignity. All proceeds from the event will benefit this initiative. Also being unveiled at the event, and gifted to guests, will be the Near East Foundation’s latest book, A Lasting Impact: The Near East Foundation Celebrates a Century of Service, written by Jennifer Abdella and Molly Sullivan. For more information on attending the event, please visit our Centennial Page by clicking here. 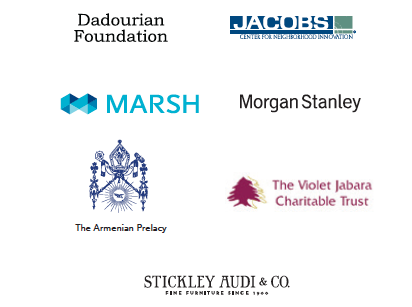 The Near East Foundation would like to thank the gala’s sponsors, whose support has made this event possible.